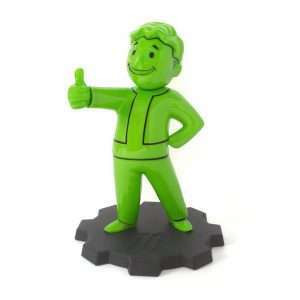 Includes 9 glow in the dark pins based on Vault Boy. 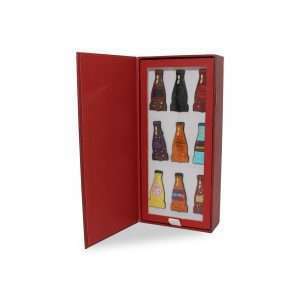 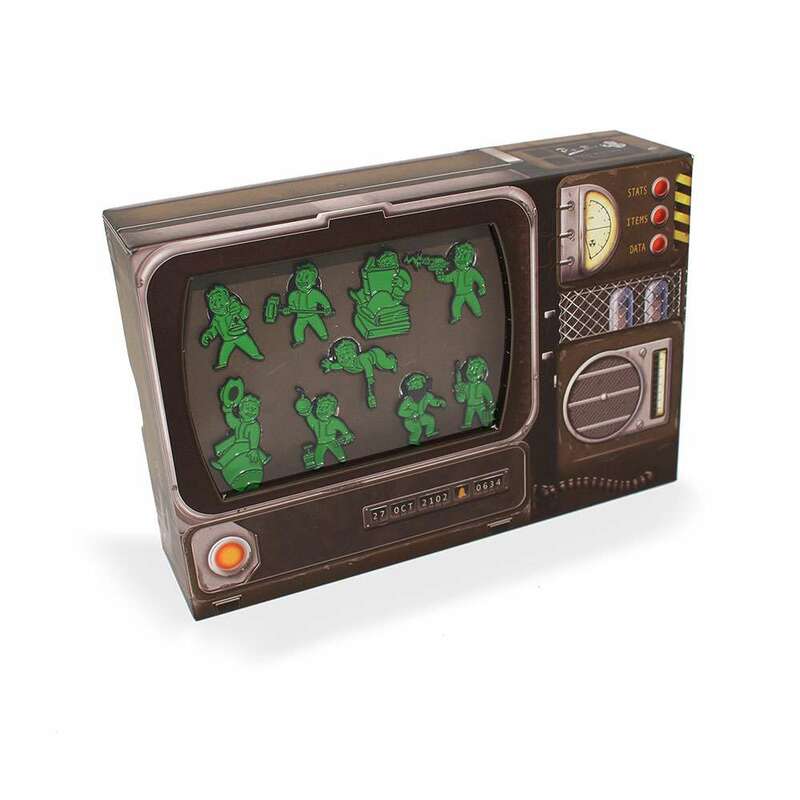 The set comes in collectors presentation box based on Pip-Boy. 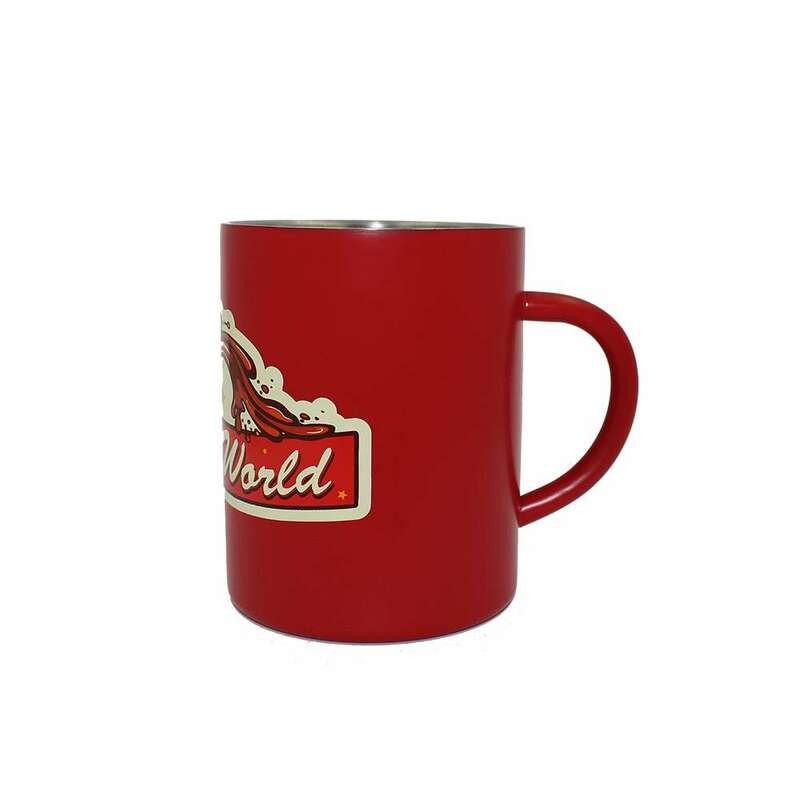 Premium quality enamel painted metals pin with a glossy finish. 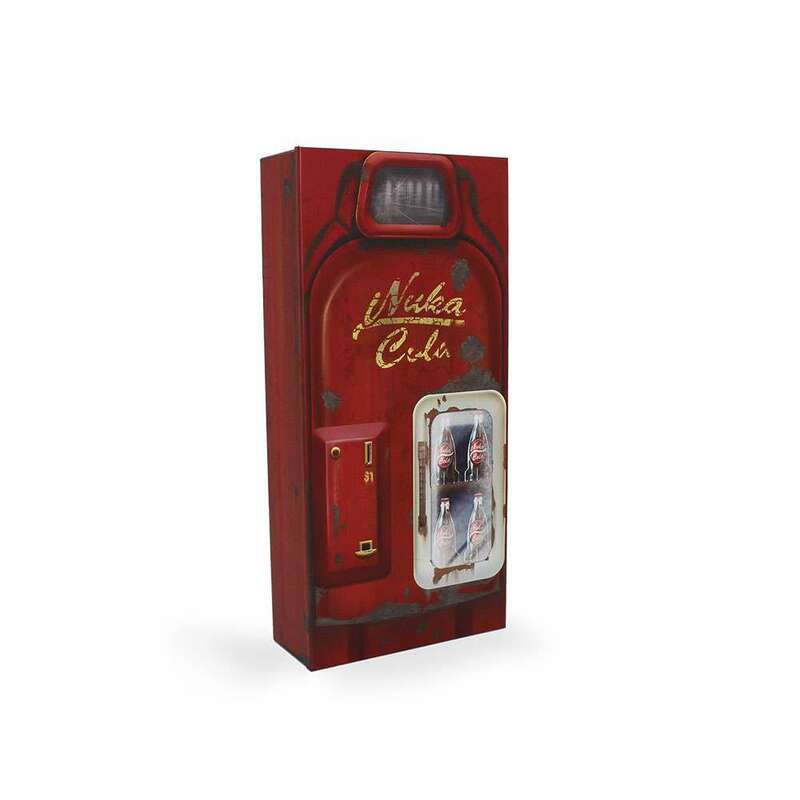 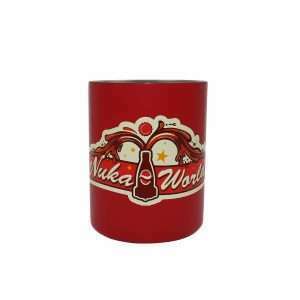 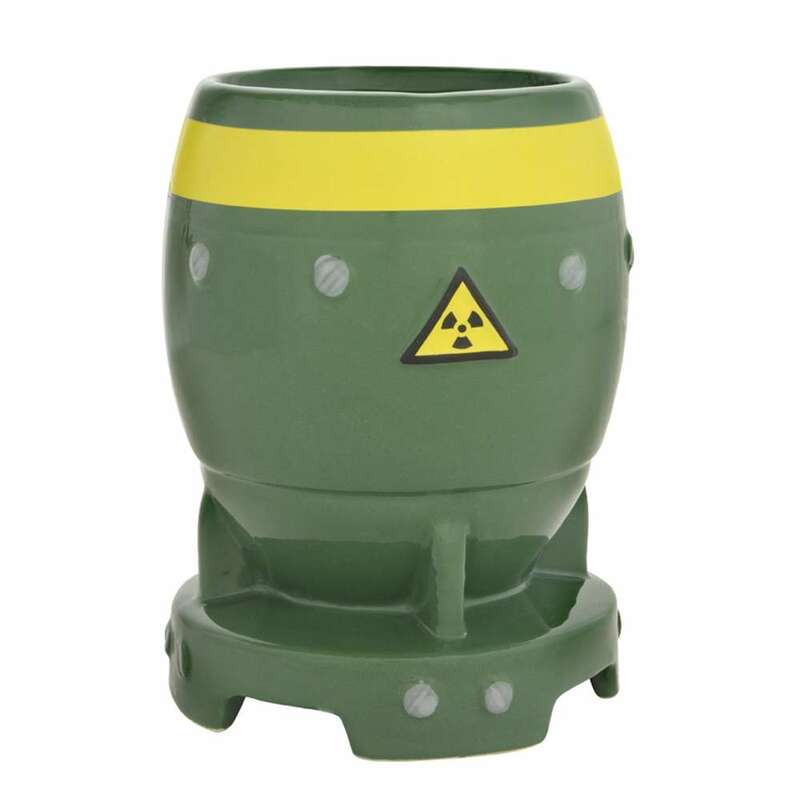 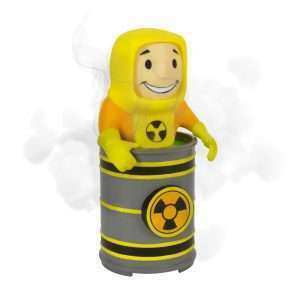 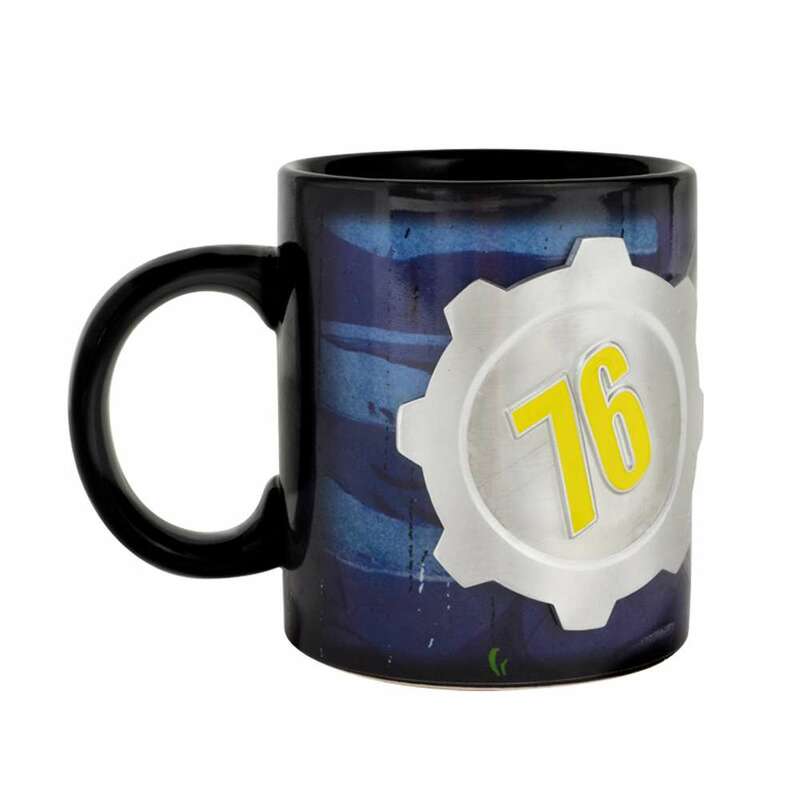 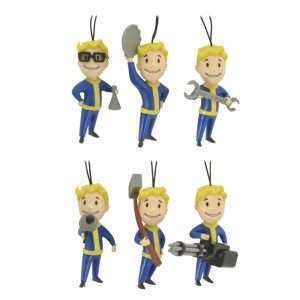 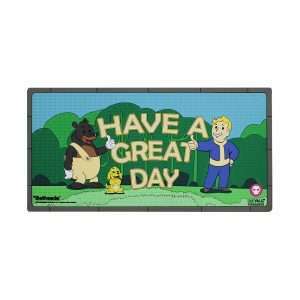 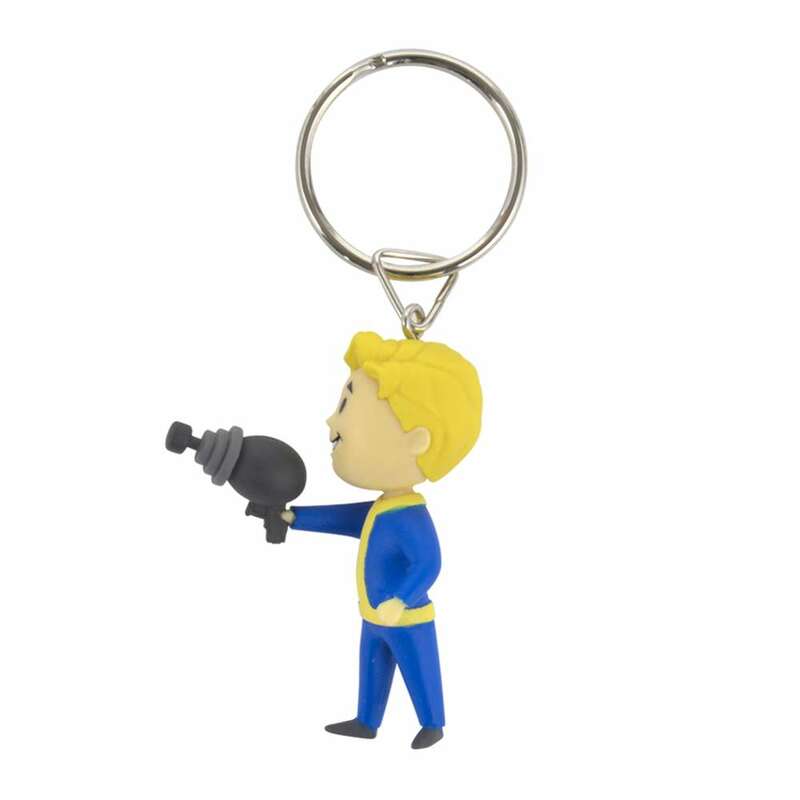 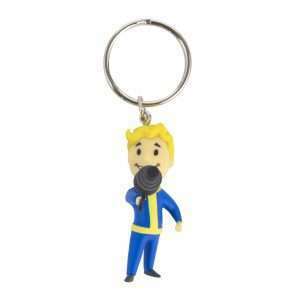 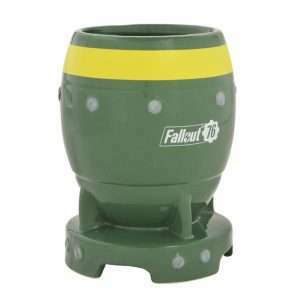 A must have collectable for any Fallout 76 fan. 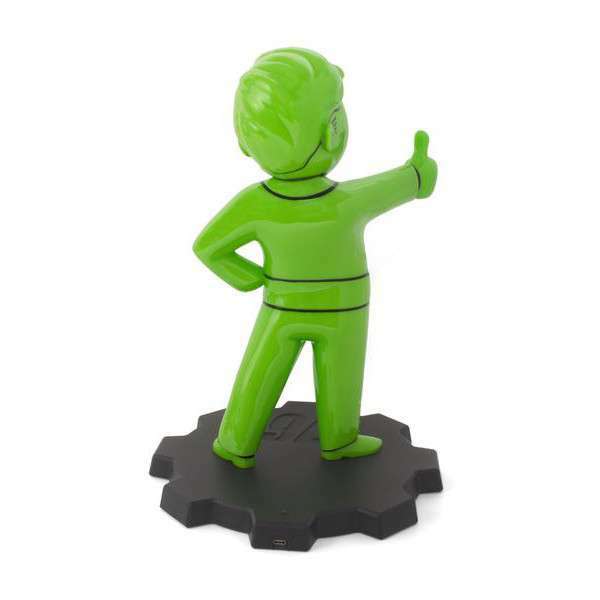 Pin size: Between 23mm (0.90 inches) and 33mm (1.29mm) tall. 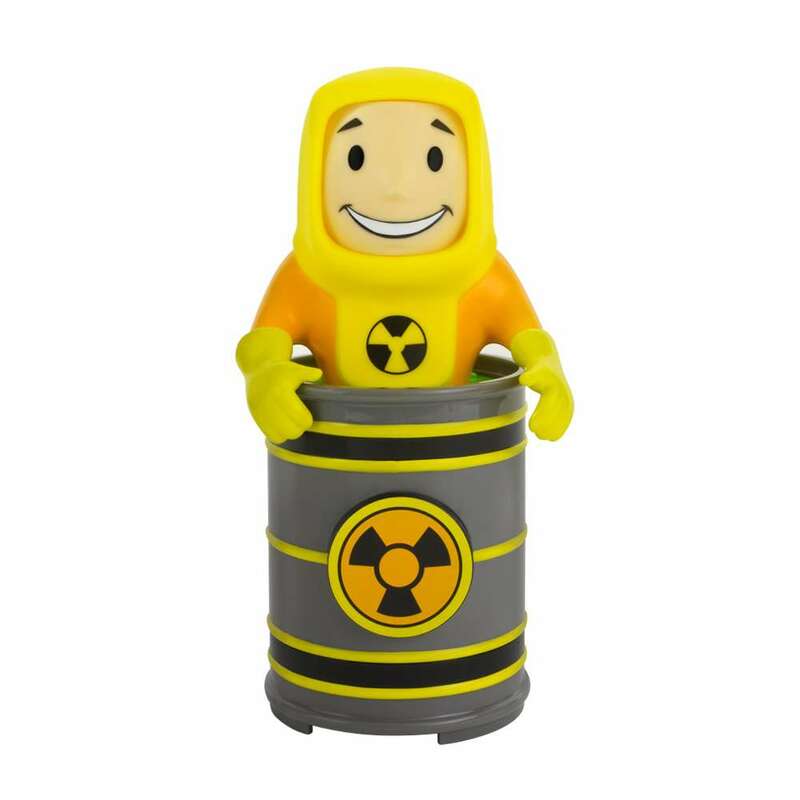 Here at Numskull we can promise there’s no such thing as ‘too much merch’. 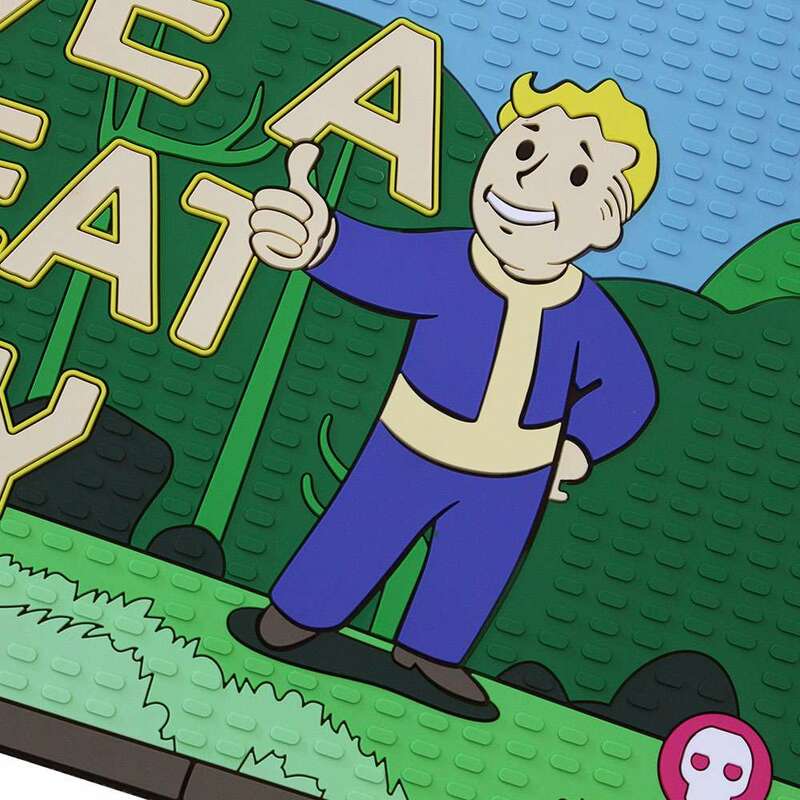 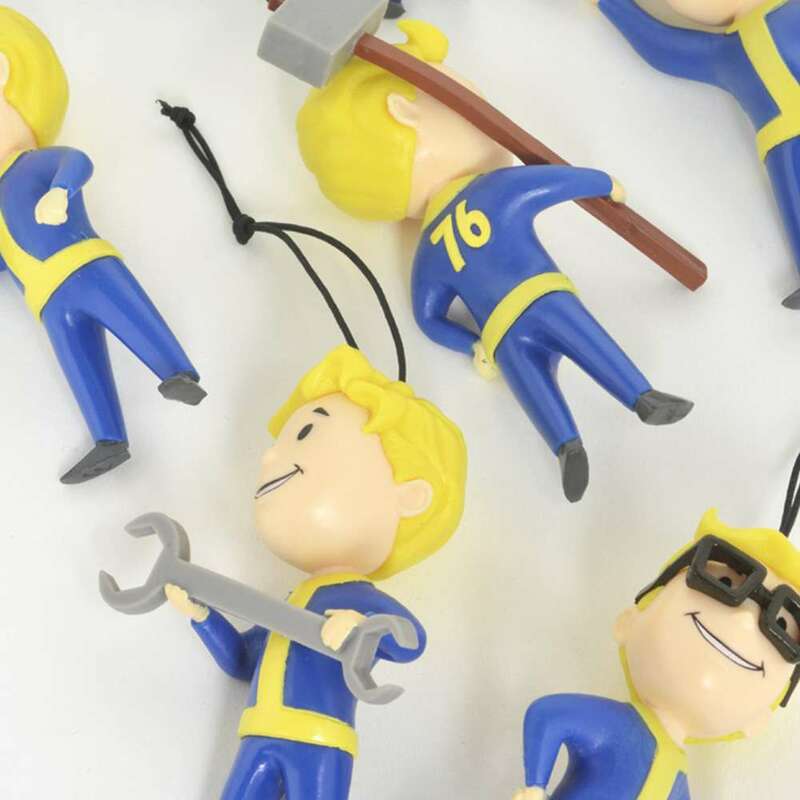 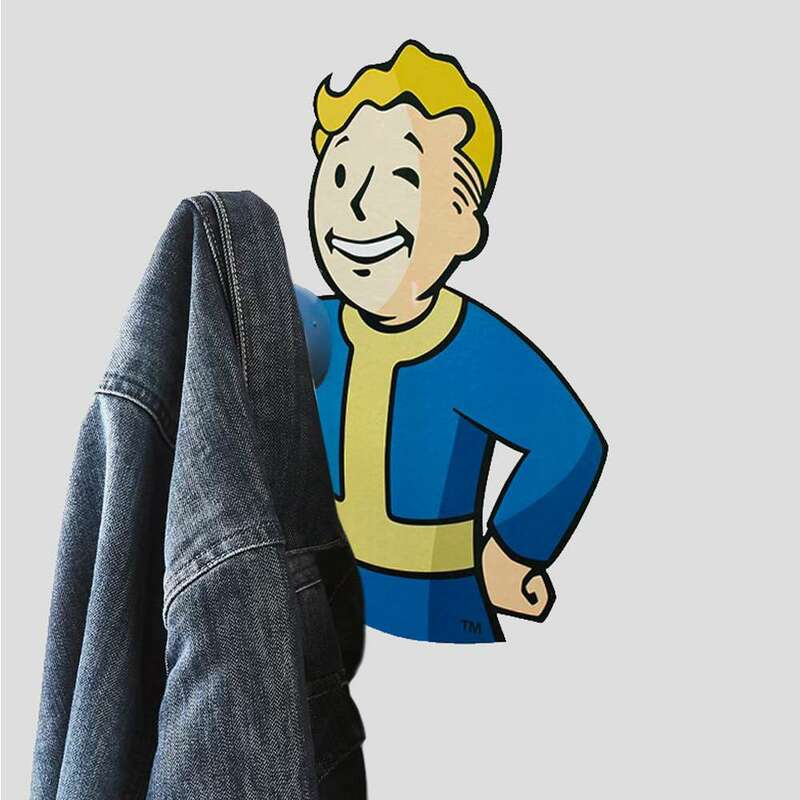 So, get your hands on this official Fallout 76 Pip-Boy Pin Badge Set and your gaming collection of goodies will be thanking you. 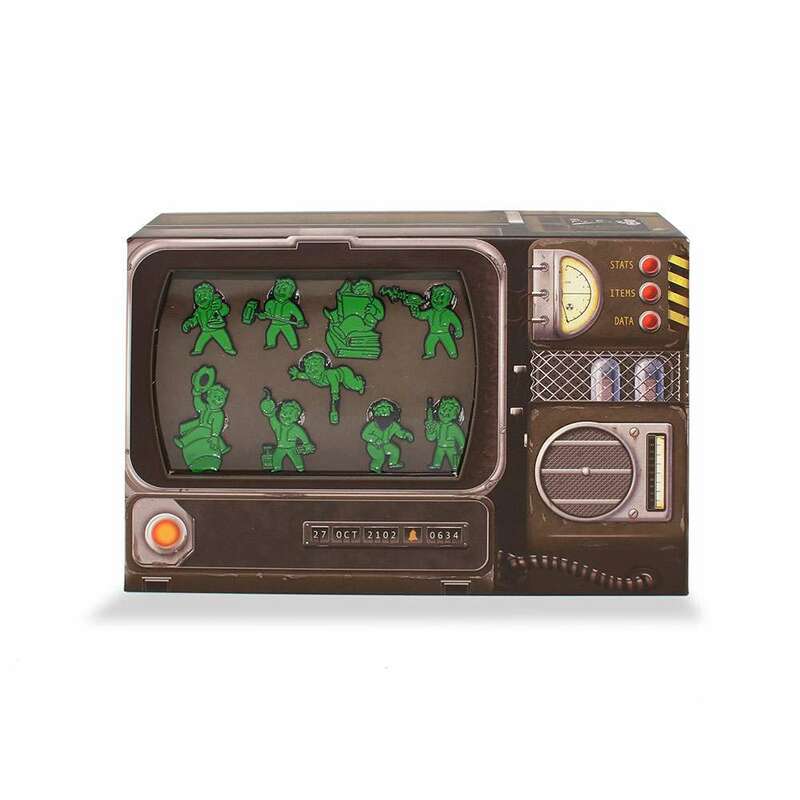 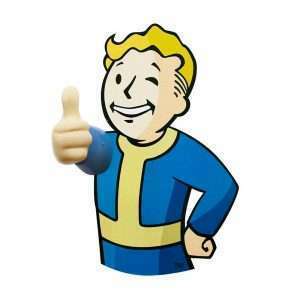 Packaged in a Pip-Boy design gift box with a display window are 9 fun glow in the dark pin badges with Vault Boy inspired designs to get all full-time gamers in the post-apocalyptic spirit!